Accusharp Gardensharp is a brilliant tool designed to sharpen a number of gardening tools including; secateurs, loppers, shears, lawn-mower blades, and much more! The sharpening blades are diamond honed tungsten carbide and provide years of reliable use. 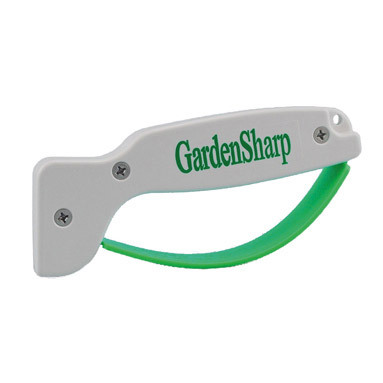 Gardensharp will not rust and can be cleaned with soap and water, or in the dishwasher. The Accusharp Gardensharp really is a must have product for all keen gardeners, florists and landscapers!